The results are in…Curvy Girl Kate’s rocks! 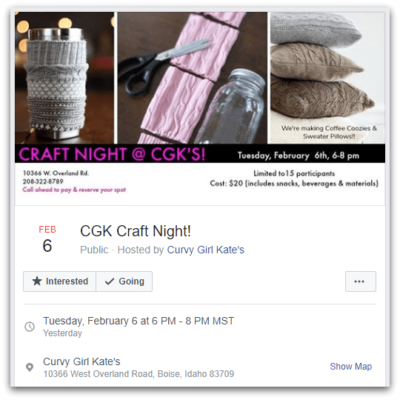 About a month ago, I challenged a reader to run a winter clearance DIY party, How to host a fun DIY class for your consignment winter clearance. The idea of turning sweaters into pillows, dog beds, gloves, etc. sounded so fun. I immediately got a response. Bobbie Jo Howard from Curvy Girl Kate’s in Idaho was up for the winter clearance challenge. Needless to say, Curvy Girl Kate’s rocks! Bobbie Jo, a former pre-school teacher, was confident she could teach the class. After all, if you’ve taught crafts to pre-schoolers for 30 years, how difficult can it be, right? They promoted the event on Facebook as well as in the store. Their specialty would be coffee cozies and sweater pillows all made from winter-clearance sweaters. Although the class was small, they thoroughly enjoyed the event. 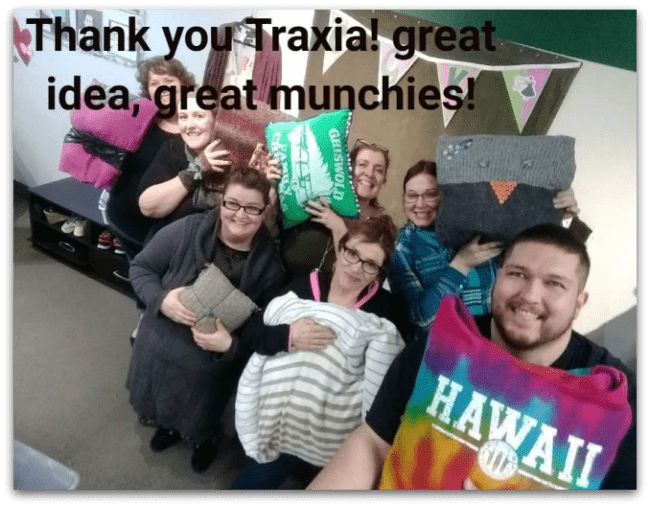 Traxia not only provided the idea, but we helped with the cost of snacks too. 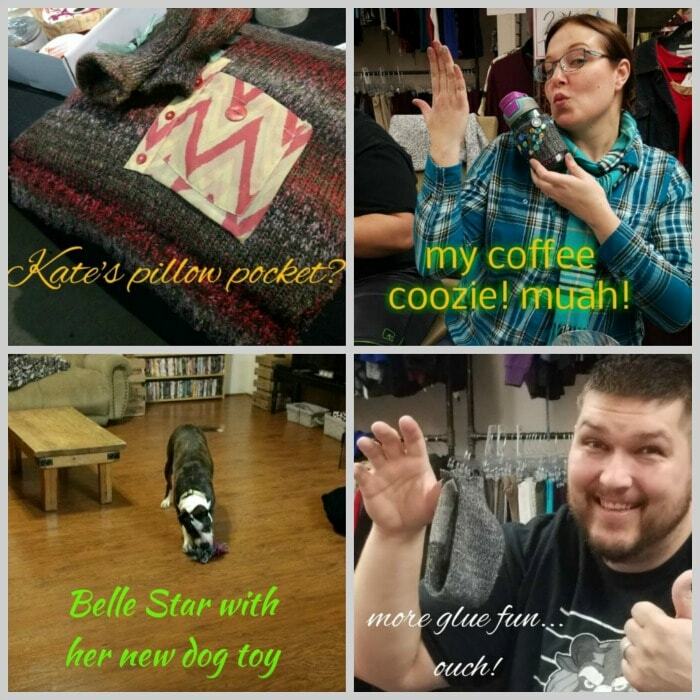 From sweater pillows to coffee cozies to dog toys, class participants created some great items. Curvy Girl Kate’s is truly a family business and Bobbie Jo’s daughter Kate (also a pre-school teacher) got involved too. What are you doing to move out winter merchandise and make room for spring? If you’re looking for an idea, take it from Curvy Girl Kate’s and host a fun DIY class. If teaching a class is not your thing, read 17 brilliant ideas for inventory reduction. While your at it, read 6 tips for consignment shop spring cleaning. There’s more to getting ready for the next season than just clearing out old merchandise. If you’re ever in Boise, Idaho, be sure to shop at Curvy Girl Kate’s. Bobbie Jo always offers a cup of tea and a listening ear. Tell her Traxia sent you!